If you are the leader of a small business that’s growing fast, then you’ll remember the time when you knew exactly what was happening in every part of your company. Anything significant that was happening, you were likely to be right in the middle of it. If it’s not happened already, then there’ll come a point where your company reaches a size at which you can no longer be the fountain of all knowledge, the controlling system nor the controller of workflow. Your company will need formal processes, information to be electronically shared across every function and workflow to be automated. It is at this stage when we see SMBs turn to Enterprise Resource Planning Software (ERP). The challenge is putting in place the right systems and processes that will enable the next level of growth, rather than stifle the fundamental things that have made your company successful. I have heard far too many stories of organisations who when implementing an ERP system have been forced to make significant changes in their processes and the way they work without true understanding of their business requirements. The result is that in an attempt to fix what is broken, they’ve actually broken the things that were right. 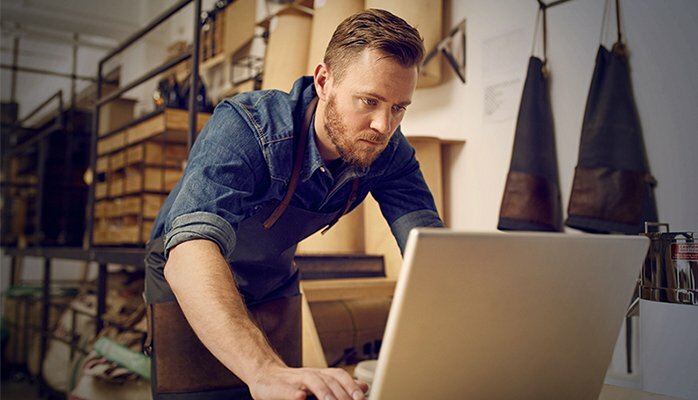 There are many reasons why SMBs select and successfully deploy SAP Business One, however, what I believe is a key reason that makes this solution ideal for growing organisations is its flexibility. With several hundred implementations under our belt, it’s understanding how our customers work and what they want to achieve that enables us to deliver an effective ERP solution. SAP Business One allows our customers to improve the way they work, as well as enabling them to place structure on it and automation around it. It builds on what you have, connecting your proven processes, placing the data you hold in a single system and removing unnecessary steps such as data rekeying and manual workflow triggers. As for restoring control, it achieves this by creating a single view of what is happening in your business. It combines information from procurement through to order fulfilment and cash collection. It delivers you the insight you had when you were involved in every process, but also allows you to step up and see the big picture. What is working, what is not, where your organisation is productive and where things are restricting growth. Whatever value our customers gain, albeit visibility, agility and productivity, they continue to work their way, but do so far more productively. They regain the visibility of the business and that not only enables them to keep growing, but actually helps them to direct and accelerate this growth and to do so profitably. To connect with me or one of our team, please contact us. Click Here To Get In Touch. To contact the team at Codestone, please call 0370 334 4000.